Tigrai Online/Bay Area Tigrean Community Celebrated Lekatit, TPLF 33rd Anniversary. Bay Area Tigrean Community Celebrated Lekatit, TPLF 33rd Anniversary. Aigaforum 03/16/08: - Bay Area Tigrean Community and friends of the TPLF celebrated Lekatit 11, Tigrean People Liberation Front (TPLF) 33rd anniversary. The belated celebration was the first in this millennium. The community, true to the new Ethiopian millennium sprit, celebrated this historical event as a national holiday. This year’s celebration will probably be remembered for time to come since many warmly celebrated the event as their own national holiday. Tigray Disabled Veteran Association and Community members organized the event. The event kicked by a reading of a message from TPLF Central Committee to Tigreans and friends followed with a candle light ceremony in remembrance of those martyred and a birthday cake cutting and the toss of champagne. Abebe, Asfaw and Haile entertained the crowded hall till 3AM. Abebe, mixing old time woyany songs with traditional Tigrigna songs was at his best. There was no body sitting idle when Abebe sang “ember Tegadaly”. For many Bay Area residents some TPLF songs have special meaning and “Ember tegadaly is one of them! Asfaw with his sweet melody and soothing voice as well as “Awres” song kept the dance floor packed. And the young Haile with his Kirar and a song from his last Album kept the warm dance floor in the chilly hills in San Jose California. Talking to many community members this event was the first of its kind. Tigray Disabled Veteran Association Northern California Chapter primarily organized the event but there were many others who made the event possible. Organizers were pleased by the turn of events although one can see their anguish by the absence of few of the old time community members. Organizers pledged to do a much better campaign next year and told Aigaforum much is yet to come. They promised to secure event hall early on next year, which was the main reason for the delayed celebration this year, we were told. They also told Aigaforum they would do much better in reaching the community at large. 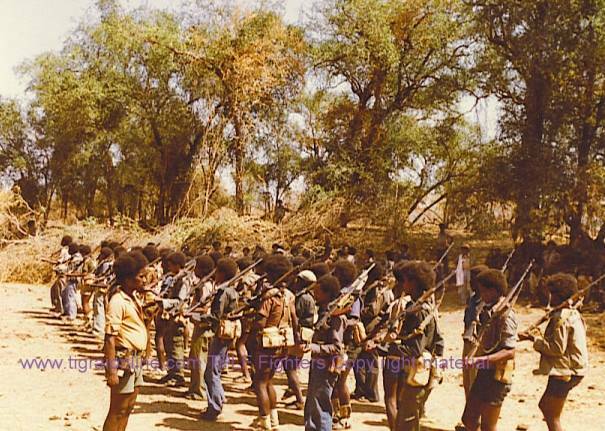 Lekatit 11 is no more a holiday for the TPLF alone. As we all can see from reports coming from all over the world, Lekatit 11 is being celebrated as a National holiday for all Tigreans and friends alike. It is incumbent for any one to cease this moment and reach out and forge a strong community and a strong country.